Research is the key to choosing the vehicle that meets all your needs on the roads of Wilsonville, Woodburn, and Sherwood. 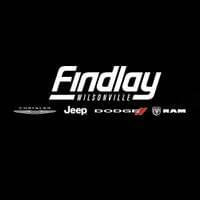 That’s why the team of automotive professionals at Wilsonville Chrysler Dodge Jeep Ram has designed this library of convenient Dodge model resources. Within each of these articles, you’ll find out more about the most important aspects of our vehicles. From performance specifications to trim level differences, these pages provide you with insight into the models that interest you most. As a result, you’ll arrive at our showroom knowing exactly which automobile you want to take for a spin. Congrats! You’re beginning the first step of your hunt for the right vehicle: research. 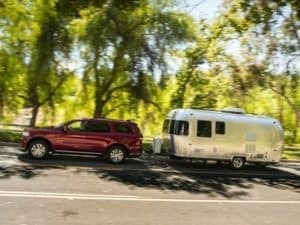 During this process, you’ll want to ensure that you’re accessing reliable information about the features and capabilities of your favorite Dodge models. By doing, you’ll know exactly what to expect once you take a seat behind the wheel during your test drive. In addition, these handy pages offer a simple way to discover more about Dodge vehicles from the comfort of your own home. Instead of flipping through a brochure, all the details you need are presented in an easily-digestible way. 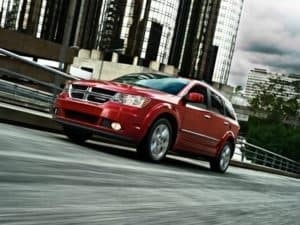 So, whether you’re considering the Dodge Charger, the Dodge Journey, or any of the other models in our showroom, these articles lay out the key aspects of each model so that you can learn more before your visit. Why is Dodge Research Important? First and foremost, research allows you to spend less time searching for the right vehicle and more time enjoying your car’s smooth, reliable performance. Rather than browsing the showroom, you’ll discover more about the technology options, safety tools, and other features included in your ideal automobile without walking out of your front door. On top of that, our Dodge research articles make it easy to learn more about the most recent updates made to the cabins of each vehicle. So, if you happen to be looking for a high-tech infotainment system or intelligent safety amenity, our reviews and comparisons will provide you with those insights. Plus, taking some time to dig deeper into the details about our Dodge vehicles helps you narrow down your list of potential options. That way, you’ll head to our dealership with a few models in mind that you’d like to test drive. With all the groundwork you performed ahead of time, purchasing your new, used, or certified pre-owned car will be that much easier. Begin Your Dodge Research Today! Ready to get started on your research adventure? Well, that’s as simple as clicking on one of the Dodge car reviews, vehicle comparisons, or trim level reviews below. After you’ve had a chance to read through information about your automobile, don’t hesitate to reach out to the professionals at Wilsonville CDJR with any questions you have. Before long, you’ll be sailing along the roads of Wilsonville, Woodburn, and Sherwood as the owner of a stylish Dodge vehicle. Stop by our showroom or contact us to schedule your test drive today!